I’m interested in entomology, biological control, and taxonomy. I’m particularly interested in parasitoid wasps and the opportunities they present for controlling pests in a more sustainable way. I’ve received awards, been profiled in the media, and my work has been published in scientific journals. I’m passionate about public engagement with science. I believe that scientists have a responsibility to communicate their research to the public, and the way they go about this is more important than ever. Researchers can contribute valuable context to debates about controversial issues. They can encourage a greater level of public interest in the natural world by showing parts of it from new perspectives. And they can work in their communities to design innovative citizen science projects to help answer the questions we all care about most. 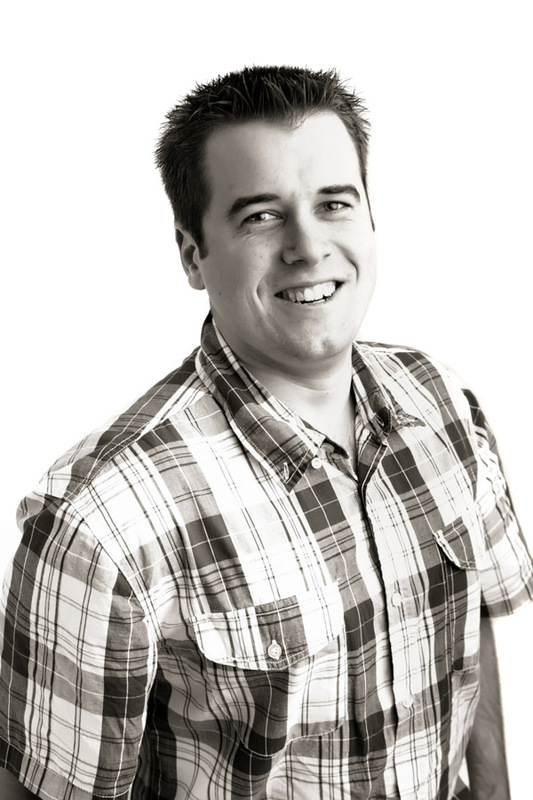 I’m interested in how software can enhance the scientific process. There are so many digital tools available to help with science from the conception of an idea, to the publishing of a manuscript. These tools not only save huge amounts of time, they also provide new ways of doing things that were previously only dreamed about. One of my favorites is Zotero – a reference/document management system that offers powerful features for every part of the knowledge creation process. I enjoy cooking, photography, and reading about history. +++++My PhD project is part of the larger B3 collaboration between New Zealand’s top research organisations and MPI. The primary focus of my research is to improve the methods used to assess the risk of non-target impacts resulting from release of biocontrol agents. Understanding these risks are essential in order to comply with environmental legislation in New Zealand. Regulators often have to make decisions about whether to approve an application or not based on a relatively narrow set of behavioural evidence. Host range testing in containment is current best practice for assessing ecological host range. However, other factors may also be important and we will be examining these in my research. I will integrate a variety of traditional and cutting edge chemical ecology methods to investigate a current hot topic in biosecurity around the world. +++++The brown marmorated stink bug (BMSB), Halyomorpha halys Stål (Hemiptera: Pentatomidae), is a species of stink bug native to East Asia. It infests a wide range of cultivated host plants, causing significant economic losses through feeding damage. As a result of recent range expansions, BMSB breeding populations have been detected in North America and Europe. It has caused millions of dollars in losses to apple growers in the US alone, and is expected to continue causing serious economic damage to producers unless a successful intervention is developed. Halyomorpha halys has been intercepted at the New Zealand border many times, and there are concerns it may establish in New Zealand and threaten primary production. +++++Trissolcus japonicus Ashmead (Hymenoptera: Platygastridae), is an egg parasitoid of pentatomoid bugs and has a very high parasitism rate against BMSB in their shared native range (up to 70%). Since 2007, it has been the focus of a classical biocontrol research program against H. halys in the United States. However, before any biological control agent (BCA) can be released in New Zealand, it must be demonstrated that the new organism will not pose a significant threat to native flora, fauna, or ecosystems. New Zealands’ pentatomid fauna consists of only 8 species, four of which are introduced. Hypsithocus hudsonae Bergroth (Heteroptera: Pentatomidae), or the black alpine shield bug, is an endemic species known from only a handful of alpine and sub-alpine habitats in Central Otago. Hypsithocus hudsonae is one of the last remaining species required to undergo assessment of potential non-target impacts of T. japonicus in New Zealand. Thesis publicly available at ResearchSpace. +++++ My masters research focused on improving the ways that parasitoid wasps are caught, in order to help researchers studying their ecology or diversity. Parasitoid wasps are mega-diverse, ecologically dominant, but poorly studied components of global biodiversity. Despite their intensive application within pest management as biocontrol agents, little is known about native species. To understand their basic biology they must be collected in sampling programs. However, invertebrate surveys are increasingly subject to funding and time constraints that often preclude complete faunal inventories. In order to maximise the efficiency and reduce the cost of their collection, I proposed the application of optimal sampling techniques within a Rapid Biodiversity Assessment framework. Two sites in the Waitakere Ranges were sampled three times over the summer to determine the relationship between sampling effort and observed species richness. Statistical techniques such as rarefaction and non-parametric estimators were used to predict true species richness and to evaluate the completeness of sampling. Results showed that an intensive Malaise-trapping regime over the summer could capture two-thirds of parasitoid wasp species present. I provided sampling recommendations to guide optimal usage of Malaise traps for both ecological studies and faunal inventories. I also described a new species of native parasitoid wasp, representing the first New Zealand species from the genus Lusius (Ichneumonidae: Ichneumoninae). Morphological measurements confirm the new species represents a significant range expansion for the genus. +++++I encouraged greater collaboration between ecologists and taxonomists, in order to make more efficient use of resources, data, and expertise unique to each discipline. 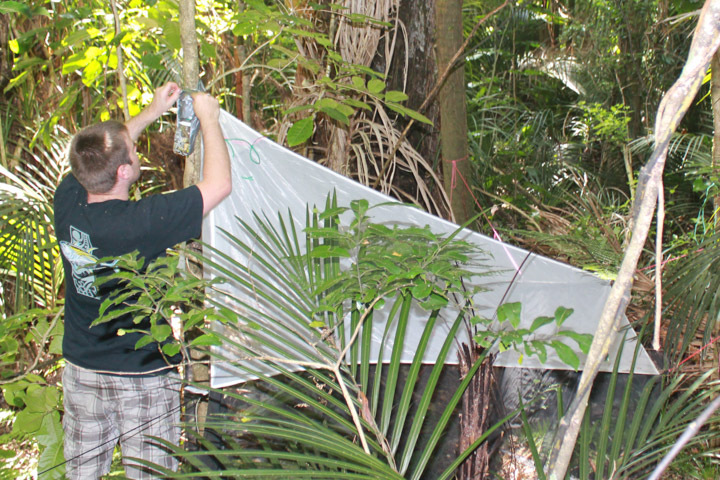 My masters is the first attempt to quantify sampling effort in relation to parasitoid wasp diversity in New Zealand. It shows that very high sampling effort fails to catch all species present. 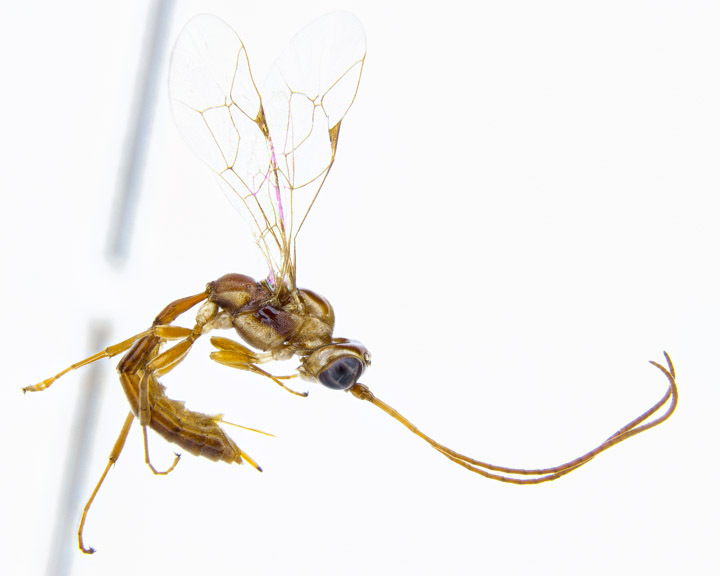 Parasitoid wasps are known to be keystone species that show promise as indicators of environmental quality and as surrogates for the diversity of other taxa. The development of optimal sampling strategies will therefore provide an important foundation for their future study. Setting up a malaise trap during my masters research. I put out lots of these traps over the summer to try to figure out how researchers can use them to capture parasitoid wasps efficiently (e.g. the minimum number and duration of traps that would capture the highest number of species). Lusius malfoyi – I described this endemic New Zealand species of parasitoid wasp as part of my masters research.